English, Singlish - A rose by any other name would smell as sweet. - Dreams are what you wake up from. English, Singlish - A rose by any other name would smell as sweet. I live in Singapore, and while English is the national language of this island state, its multi-racial population ensured that the "mother-tongue" languages of Mandarin, Malay (Bahasa Melayu) and Tamil were also taught in schools. I grew up with my grandparents in my earlier days, in the 1980s, and while I learned English and Mandarin in school, I watched Cantonese Hong Kong television serials with my grandparents at home, mainly from the cassette video-tapes they borrowed from the video store in the neighbourhood. 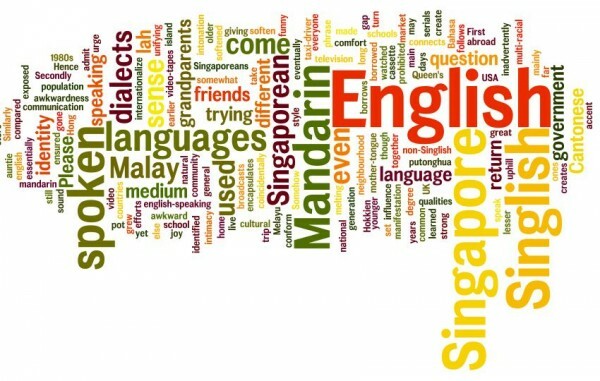 The Singapore government, in its efforts to create a set of common languages, made English the main language medium of communication. Similarly, "putonghua" or Chinese Mandarin was the only mandarin medium to be used for all broadcasts, and all other dialects were prohibited from being used. This has not removed the Cantonese or Hokkien dialects from Singapore, even after a few generations. Somehow, the dialects are still being used, though to a lesser degree, between the older generation and the younger ones. And, because of the melting pot of languages that we Singaporeans are being exposed to, our spoken English has evolved to a spoken style that encapsulates the spoken qualities of the other languages, making our spoken English essentially Singaporean, or what we term as Singlish. How is Singlish different from English? First and foremost, the intonation of Singlish somewhat follows the influence of both Malay and Mandarin. Secondly, one could soften a phrase with the word "lah", which, coincidentally borrows (again) from both Malay and Mandarin. Hence, a question: "Please come." could be softened into "Please come lah," giving the question a sense of intimacy. The Singapore government, has been trying to eradicate Singlish in a bid to internationalize our spoken English, but it has been an uphill task so far. I have to admit that I do have feelings of awkwardness when I speak english in the english-speaking countries of UK, USA or even Australia. The urge to conform is strong, but yet, when we have Singaporean friends who have gone abroad for a few years, and return to Singapore speaking a non-Singlish accent, there is a general sense from the community that these friends are "trying to be different", and inadvertently creates a gap. I have come to appreciate Singlish as a manifestation of our Singaporean sense of identity, and while it may sound awkward, or even funny as compared to the Queen's English, I take great joy in the comfort of speaking the same natural way as the auntie in the market, and the taxi-driver, and everyone else, when I return to Singapore from a long trip. For Singlish, while currently being identified as a malady, could eventually turn out to be the unifying cultural identity that connects us together. well... to be correct, our national language is malay whereas english is our working language. but yeah... totally resonate with what you write.